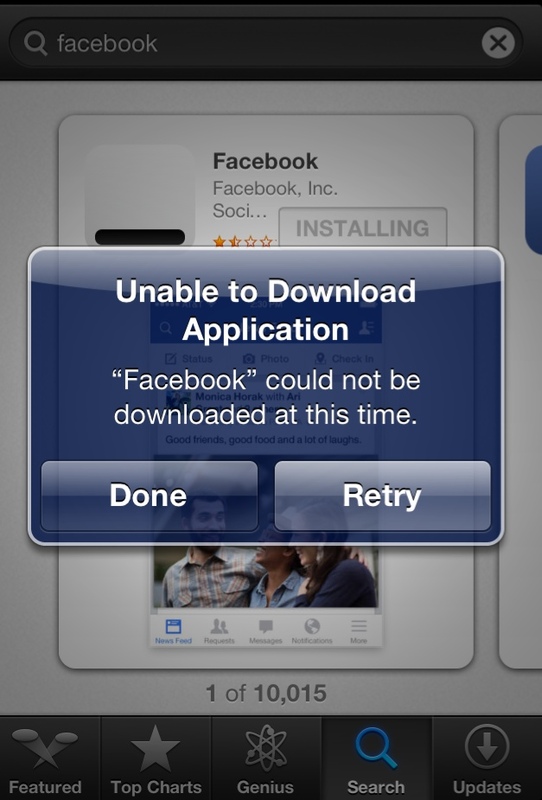 The latest Facebook app update seems to be a disaster for many iPhone users. Read on to see what some are experiencing. I haven’t updated my iPhone 4S to iOS 7 yet, so I still manually update my apps (as opposed to having automatic updates turned on in the iOS7 App Store setting). Daily, then, I visit the App Store and update my apps: it’s just routine for me. This morning I was angered – no, livid is a better word – for the recent Facebook app update attempt. Rarely have I seen an app fail to update, and even the rare times I have, either an iPhone reboot or app delete and reinstall have alleviated the failed update. But not today. In trying to update – or even do a fresh install – this error repeatedly occurs, and hitting “Retry” results in the error returning. 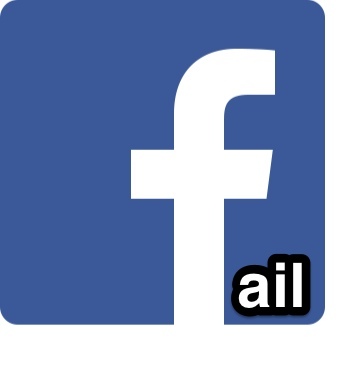 Facebook continually fails to update – or even download for that matter. While I am not overly concerned about this, I know many, MANY people who need a FaceBooky to monitor their social networking addiction and this latest debacle for a publicly traded company is completely unacceptable. What about you? 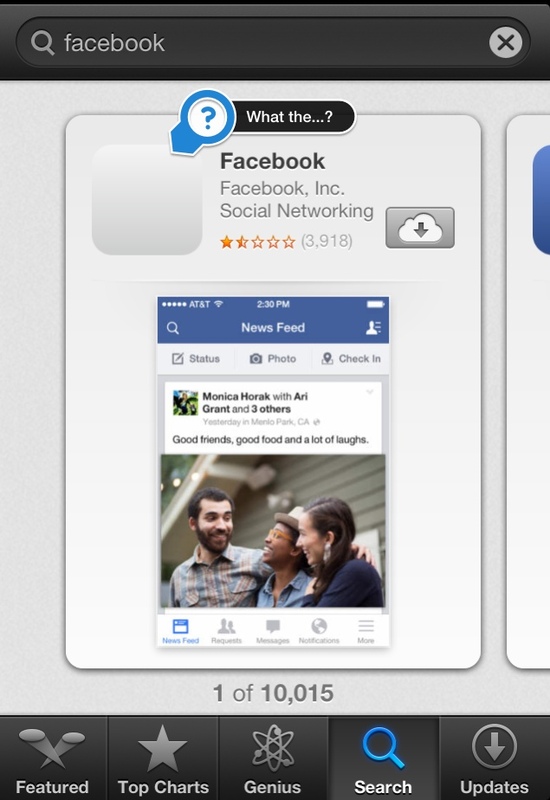 Are you stuck without a Facebook app now too? Are you stuck in the cycle of doom? 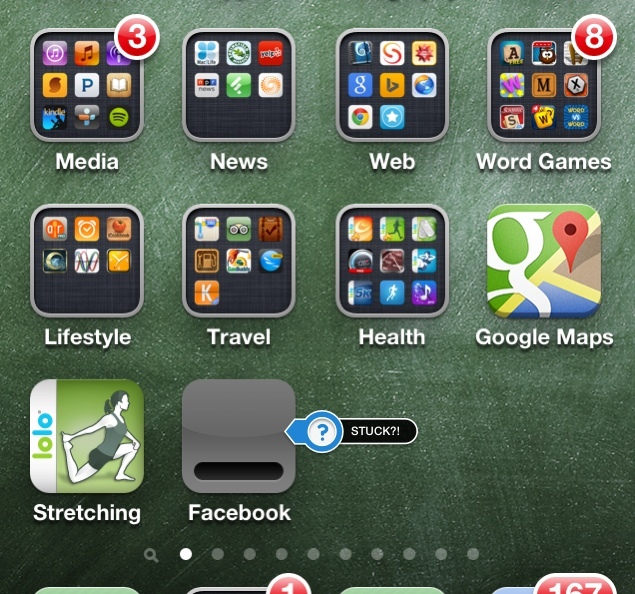 UPDATE: Others have corroborated that this wasn’t isolated to my jailbroken, iPhone 4S with iOS 6. Installation on iPads have also stalled. Additional UPDATE: At 2pm, after repeated attempts, one magic moment the app began loading, installed, and has operated since without crashing. It’s happening on ios7 too (non jail-broken)! Stuck since yesterday! Dam irritating! I was stuck trying to download it (iPhone 5S iOS 7.0.3) But I was able to download it today with no problem. Worked fine here after stalling once, iPhone 5s iOS 7. I also think it’s not very fair to call out any software for failing on a jailbroken device. Same thing happened to me on non-jailbroken iPad 3 running iOS 7.0.3. I don’t think the jailbreak had anything to do with it. Updated the next day fine, though. The fail here is that you used the device against the manufacturer’s instructions and then complained when it didn’t work properly. Next I suggest you break a window and then sue the manufacturer because bugs are getting in your house. Just updated. Working fine for me.